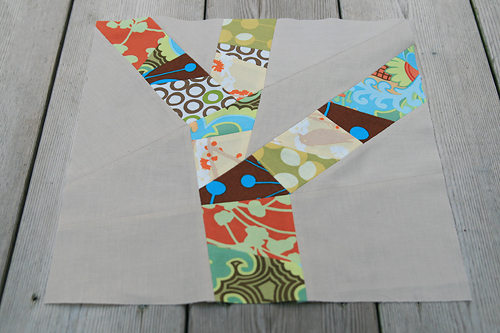 This block was a lot trickier than I had anticipated. Even after marking all the pieces, it was still like jigsaw puzzle, figuring out the layout again. I should have taken a photo of the design first. Then, I really had to plan the order I needed to sew the pieces together in order to avoid any pesky Y-seams. But isn't that what bee's are about? Push and challenge ourselves? Lisa, I hope you enjoy your block!